We have returned from our trip to Calafornia after a fab time. We Just wanted to say thanks for your help and advice as it was all perfect for what we wanted to do. All the hotels were in good locations and all excellent choices. We have just returned from a holiday organised by you with United Airlines to NYC San Francisco and Las Vegas (3 nights each) You added train and hotel in Edinburgh from Newcastle and the cost was most reasonable. We travelled to Newark Airport on 5th November 2018 and returned on 15th November. Everything was great and we enjoyed every minute. There were a couple of small problems at Hotel Beresford, San Francisco and they upgraded us after one night. The advice and service we received from you was exceptional in every way. Once again many, many thanks. We will recommend you to all our friends and look forward to travelling with you again. I have just returned from one of your trips to Krakow. I would like to thank you for a marvellous 4 days. The hotel was great, the organisation of the excursions excellent and the guides were all "top notch" including your own guide, Vic. I was impressed with the way we were met and taken to our hotel. A really great holiday. Thank you . Just a quick note to thank Gillian for all your help in putting together our recent trip to the USA. We had a brilliant time, including the breath-taking solar eclipse and a host of other memorable moments along the way. Just a thank you email to you all for the excellent travel arrangements to London at the weekend for the football game. The President Hotel was excellent and we couldn't fault your arrangements. Many thanks and we wouldn't hesitate to book with you again. My sister booked a weekend trip to London for the two of us last weekend . We travelled by train from Newcastle upon Tyne and stayed in The President Hotel overlooking Russel Square for two nights and pre-booked tickets with yourselves as part of the break to see the Lion King while we were there. May I say a big thank you for a first class hotel stay, good food and wonderful seats in the Lyceum Theatre the show was the icing on the cake. We both had a fabulous weekend and are still amazed at the value for money of this trip considering the standards we received. Thanks again and here is to the next trip with yourselves hopefully soon. Westoe travel organised my honeymoon to Canada. My partner and I wanted to go to the Rockies and go to as many places as possible within our budget. Westoe travel organised the whole thing. We only chose 1 hotel out of them all (fairmont lake Louise) - the rest they chose for us. each hotel was welcoming, comfortable and easy to find. Each hotel gave us a free bottle of wine / champagne / prosecco for our honeymoon. One hotel even upgraded our room type too. Because of their experience in Canada themselves, they were able to give us directions and gave us specific details on trails, walkways, tea rooms, things to go, what to see. We even received a printed sheet (and website url) for bear sightings for the local area. Everything we needed we received in a pack, in order. It was well presented, a few personal touches added too and came in a little travel wallet with everything together and room to store our passports. We kept it with us throughout the holiday and it was amazingly handy! The holiday itself was fantastic, we came very close to a grizzly bear ! When we arrived home, there was a beautiful bouquet of flowers waiting for us from westoe travel too! Totally amazing. Experts at everything. Would recommend to anyone !! Thank you so much for making our honeymoon as perfect and smooth running as it was !! Thank you all so much for all of your help in planning our honeymoon. We want to thank you for organising our short trip to Paris through Riviera Travel. We had a fabulous holiday and thanks to you, everything went to schedule. Our tour guide Angus was excellent - very informative and pleasant throughout. Just wanted to say a huge thank you to Graeme, we had a great time in Edinburgh. The Hotel was excellent, clean, comfortable and had everything we needed. The two concierge were excellent, helpful, informative and very friendly. They showed us where everything was including the pool and gym which our two boys took advantage of. Thank you again for sorting another lovely break for us. Just back from Tenerife thanks for another fantastic holiday. I will be on touch when I have dates for next year. Just to say what a wonderful and well organised trip to the airshow on the DFDS ferry. We all thoroughly enjoyed the day and would like to register our interest in going again next year. Hi, just sending this email to say thank you for organising a super break for us. We rang on 24 June and asked if you could arrange anything for London for me and my husband for the following week. Martin rang us back several times and got us booked in to the President Hotel at Russell Square from 30 June for 2 nights. As Wimbledon was starting, London was busy but he got us sorted anyway. We had a great time, train from Sunderland was so convenient, hotel was great and we had a 3 course free evening meal, which was very impressive. Weather was fantastic, so we had a brilliant time. Thank you so much. We were in need of a change of scenery and had a wonderful time. We really appreciated your efforts and hope to book another break with you later this year. Thanks for a great deal to London, booked this morning by Joan, communication with Martin, pre booking, excellent. First time user but won't be the last. Than you so much. We are very impressed with your company - the customer service is fantastic. I will be recommending you to all my friends and family. I was one of the customers stuck in London on 28 October, thank you so much! I had nothing to worry about going through Westoe Travel. Will definitely book through these again. Just to say a big "THANK YOU" for a great holiday!! We went on you 2 night rail break to London. The President Hotel (Russell Square) was central, a lovely area, good hotel plenty og hot water!! (essential!) and a great breakfast, best I've ever had in a hotel! The river trip too was an added bonus. I could recommend this holiday to anyone. "Agents Excellence Award" is well deserved!! So thank you so much - keep up the good work! We'll be back!! p.s. London Map and Tube Map added bonus also. My husband and I travelled by rail from Newcastle on 23rd July and returned home the following day. All arrangements were made by Westoe Travel, including tickets for the Pompeii and Herculaneum Exhibition at the British Museum. The Museum was only a few minutes walk from the President Hotel. Because of your organisation, we had a most enjoyable trip. Thanks so much for sorting out our holiday to Florida. It was absolutely fantastic & a big thank you for all the tips and advice you gave me it made the holiday so much easier & enjoyable . The hotel was fantastic & we loved going to downtown disney on an evening on the boat . Stopping at the Universal hotel was another brilliant part of the holiday. It was well worth the money we paid because of the fast pass & the day we went to Islands of Adventure we had been on the Harry Potter ride by 8.15am as there was no queue & had the rest of the day to enjoy the park . Afterwards we went back to the Lowes Pacific & our son played in the fantastic pool which they have which had loads of water cannons to squirt each other with . We have just returned from a 4 day short break trip to Brugges on Eurostar which you organised for us. I would just like to say a big thank you to everyone at Westoe Travel for everything you did for us. This was one of the best holidays we have had - no travel hitches, excellent hotel selection , first class tour guide and one of the most stunning holiday destinations we have experienced. We will definitely consider booking with you again . Can you please convey this message also to the staff at Riviera Travel with a special word of thanks to our tour guide Christina. Just a quick note, I travelled with yourselves to London at the weekend and just to say thank you everything went really well. I realise you probably don't get praise very often so I thought'd be nice to give you some! I will use yourselves again. We have just been to London with hotel rail tickets and NFL match tickets arranged by Westoe Travel. Everything went extremley well so I just wanted to thank you. I'll be booking again for next year! We have just returned from a Westoe Superbreak to London by rail 22-24 September. We would just like to thank you for your excellent administration and great value. The paperwork for the Houses of Parliament, the Leonardo da Vinci Exhibitionand Buckingham Palace was flawless. The enclosure of maps and relevant information was most helpful and the train seating excellent. The hotel was very comfortable and in an excellent location. Special thanks for all your help in organising our trip by Eurostar to Bruges at Eastr. It was very well organised and the Tour Manager was great. The highlight was finding the memorial to a realative at Tynecot Cemetary. Special thanks to Joan for her support and advice in helping us find the memorial. Thank you so much for the donation for our raffle to raise funds for the Intensive Care Ward at South Tyneside District Hospital. My friend is heading back tomorrow after a very successful visit. Everything went like clockwork, thank you for organising it so cometently for us. Thank you for your help in booking our recent holiday to Washington, New York and Niagara Falls. We had a great time - I was particularly happy with your suggestion of staying near Duport Circle in Washington -it was an ideal location with lots of choice for evening meals and excellent links to the city. Just to say a big 'Thank You' to you all at Westoe Travel for helping us in booking and preparing for our trip to Australia. We had an amazing time during our trip and the transport, hotels and excursions were fantastic! We will be recommending you to friends and hope to book with you in the future. Thanks again for organising our holiday so well. Everything rang smoothly and we had a great time. Cheesecake factory was awesome - as was the chocolate! 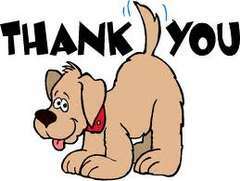 Just to say a big 'Thank You' for taking on board my specific requests/needs -it made such a difference not having to worry about it at all. I would like to take this opportunity of saying how impressed with the extremely helpful service i received when making a booking yesterday. The lady i spoke to (Joan) could not have been more helpful/friendly Nothing was too much trouble for her to explain. I have dealt with many travel companies over the years but have to say the customer service i received on this occassion surpassed anything that has gone before. Quick message to say thanks from me and the lads for the travel arrangements. Whilst the result in the end was not what we wanted the whole experience was simply superb and the train and hotel excellent value and all worked brilliantly. Let's hope we get there again soon. Cheers. Got back from London earlier this afternoon and just thought that I'd say thanks as everything was spot on and the hotel went down a treat with the lads. It was a great weekend despite the result. Cheers and hopefully we'll be back in touch after the game on Sunday!! Just want to say thanks for the weekend, everything was seamless and really well organised. Really added to a great weekend. Bus driver was really canny.